A federal judge in San Francisco has blocked a Trump administration policy that generally requires asylum-seekers to remain in Mexico as they await their hearings. U.S. District Judge Richard Seeborg issued a preliminary injunction on Monday, report the Washington Post, the New York Times, Courthouse News Service and a press release by the American Civil Liberties Union. The ruling comes a day after the resignation of Homeland Security Secretary Kirstjen Nielsen. President Donald Trump has also pulled the nomination of Ron Vitiello to lead Immigration and Customs Enforcement, part of his push to toughen immigration enforcement. Seeborg said the Immigration and Nationalization Act doesn’t authorize the policy, known as Migrant Protection Protocols, as applied to individuals who arrive here without proper documentation. Even if the policy is allowed by statute, it doesn’t have sufficient safeguards to comply with the Department of Homeland Security’s legal obligation not to return migrants to a territory where their lives or freedom would be threatened, Seeborg said. As a result of those deficiencies, the policy violates the Administrative Procedures Act, Seeborg said. Seeborg said federal law divides entering migrants into two groups. One category includes those who arrive without specific travel and identification documents, making them subject to expedited removal. The second category consists of migrants to are clearly eligible for admission to the United States, or whose application for admission will be evaluated by an immigration judge. The contiguous territories provision does not apply to the first category, Seeborg said. 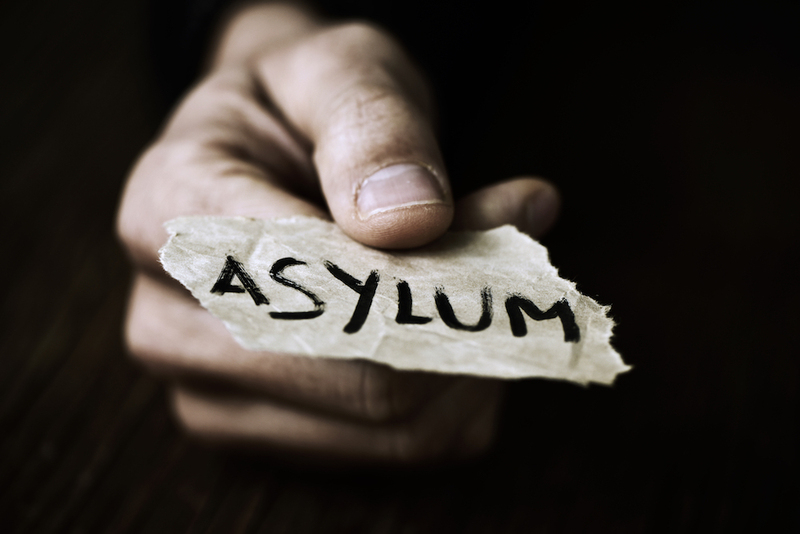 The eleven asylum seekers who were individual plaintiffs in the lawsuit all arrived without valid admission documents, and are therefore not subject to the contiguous territories provision, Seeborg said. Seeborg’s injunction prevents the government from implementing and expanding the remain-in-Mexico policy. Seeborg said his injunction doesn’t take effect until April 12 to allow the federal government time to seek a stay of his injunction. Seeborg ruled in a suit filed by the ACLU, the Southern Poverty Law Center and the Center for Gender & Refugee Studies. The plaintiffs are 11 asylum-seekers who were forced to wait in Mexico, as well as six immigrant-rights organizations. The case is Innovation Law Lab v. Nielsen. Trump criticized the decision in a tweet.